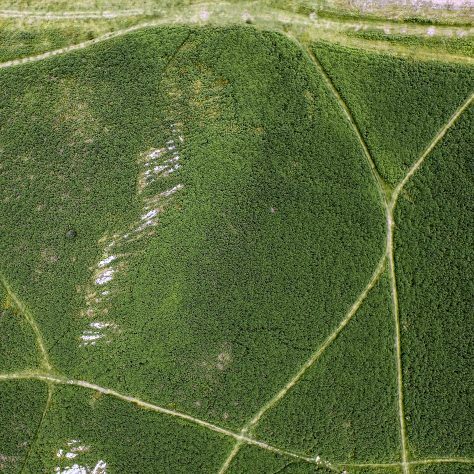 An aerial view of the enclosure on Birkrigg Common, near Urswick, Ulverston, before bracken clearing. 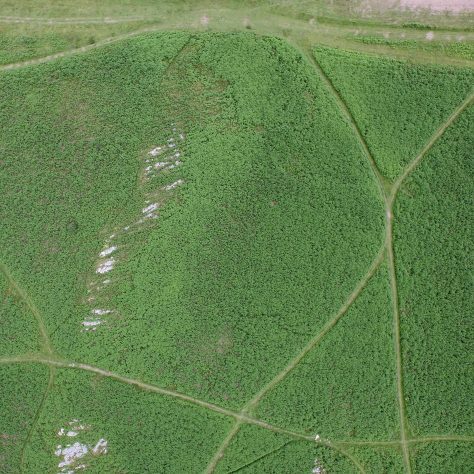 An aerial view (wide) of the enclosure on Birkrigg Common, near Urswick, Ulverston, before bracken clearing. 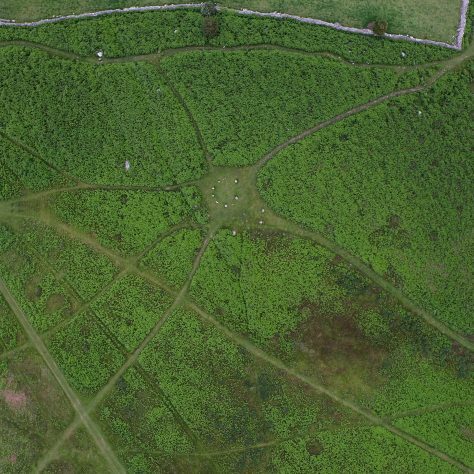 An aerial view (wide) of the stone circle on Birkrigg Common, near Urswick, Ulverston, before bracken clearing. 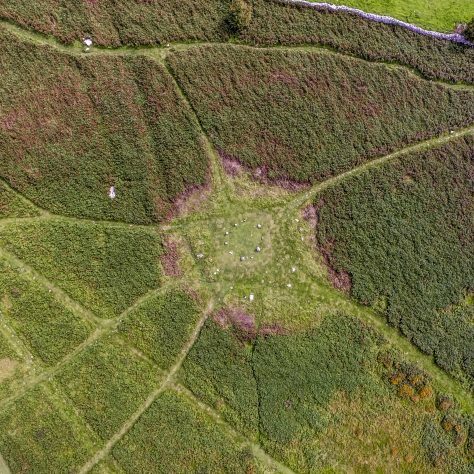 An aerial view of a Round Cairn (wide) on Birkrigg Common, near Urswick, Ulverston. 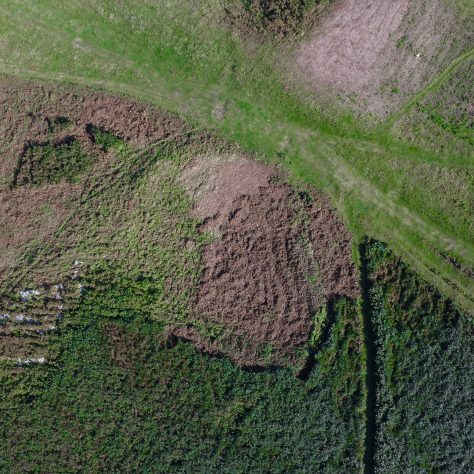 An aerial view of a Round Cairn on Birkrigg Common, near Urswick, Ulverston. 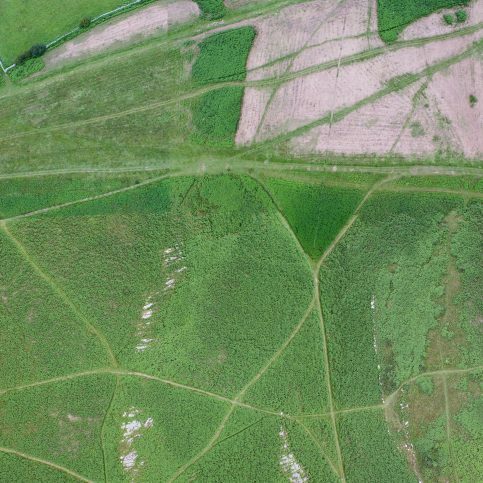 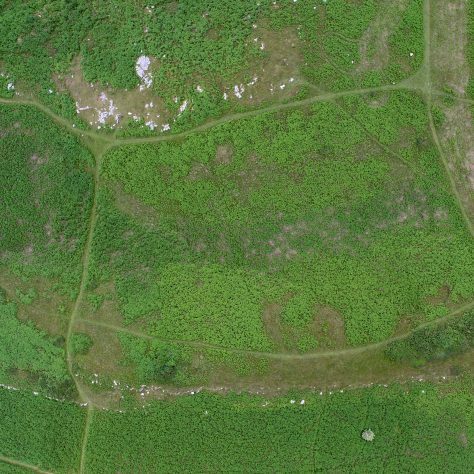 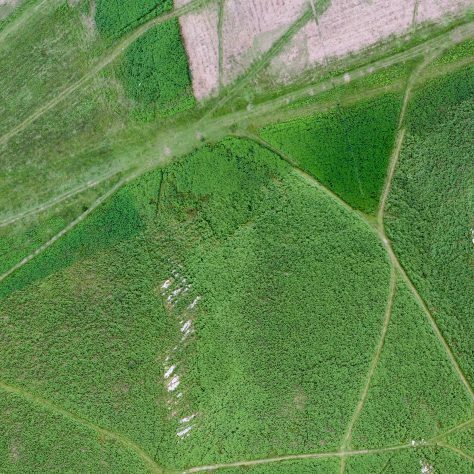 An aerial view of the enclosure on Birkrigg Common, near Urswick, Ulverston, after bracken clearing. 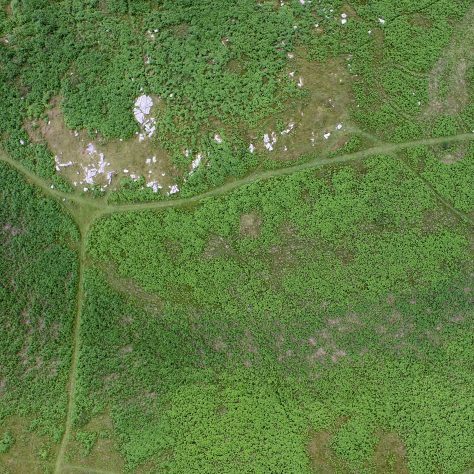 An aerial view of the enclosure on Birkrigg Common, near Urswick, Ulverston, after bracken clearance. 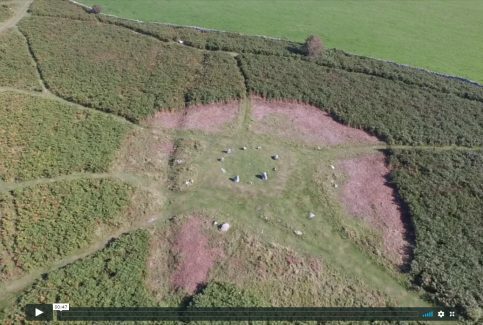 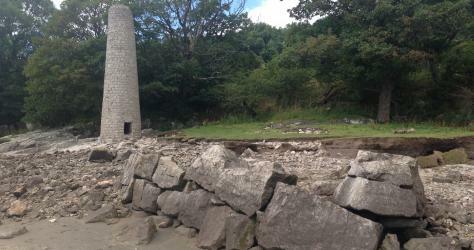 A film showing showing the stone circle on Birkrigg Common, near Urswick, Ulverston, after bracken clearing. 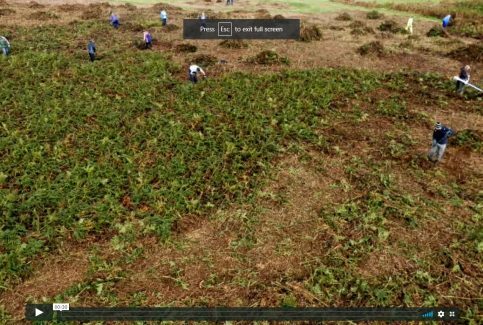 A film showing volunteers clearing bracken on Birkrigg Common, near Urswick, Ulverston, in September 2016 (long version). 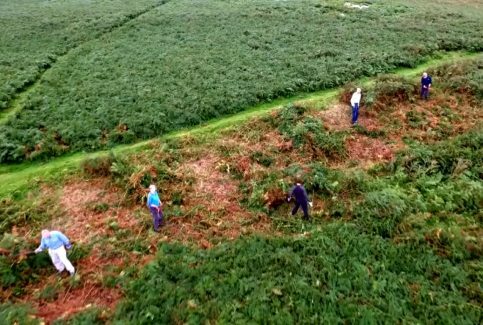 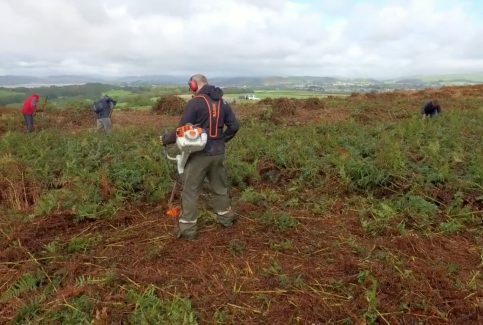 A film showing volunteers clearing bracken on Birkrigg Common, near Urswick, Ulverston, in September 2016 (short version). 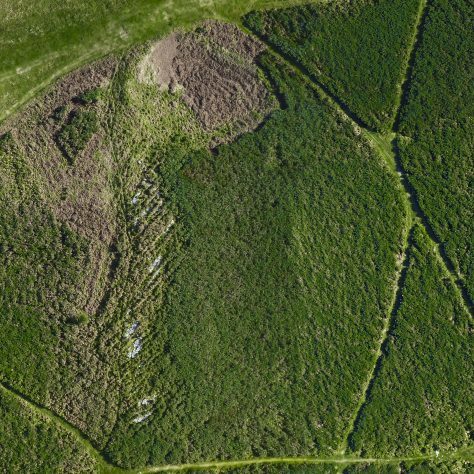 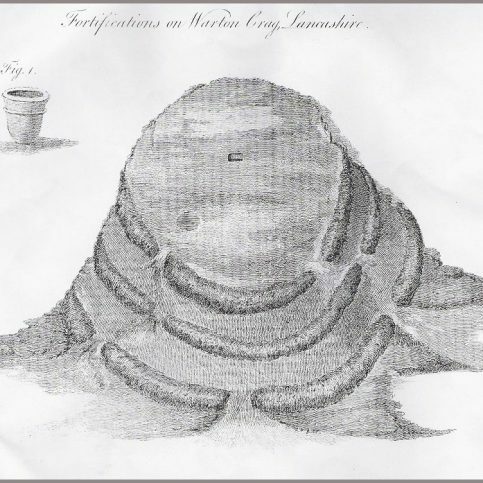 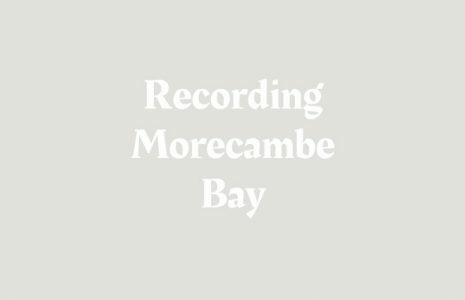 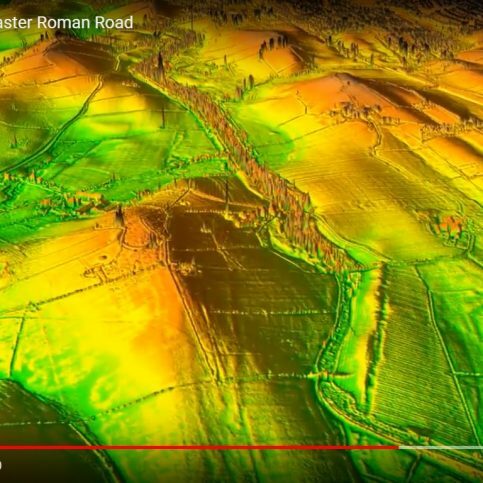 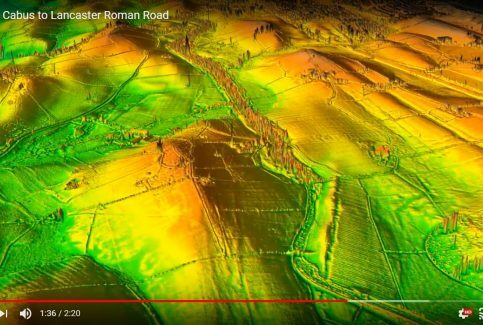 A report on the structure and location of Hampsfell Hospice prepared in order to determine its suitability for conservation work. 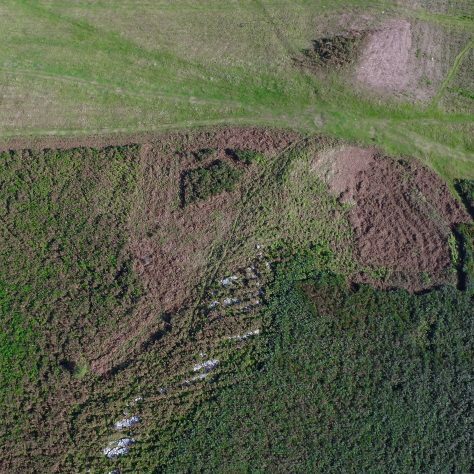 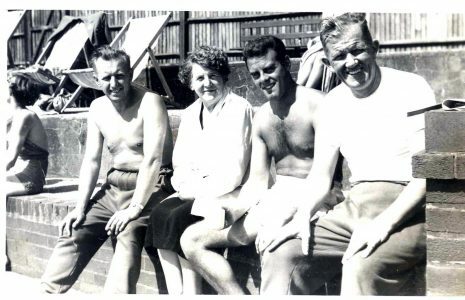 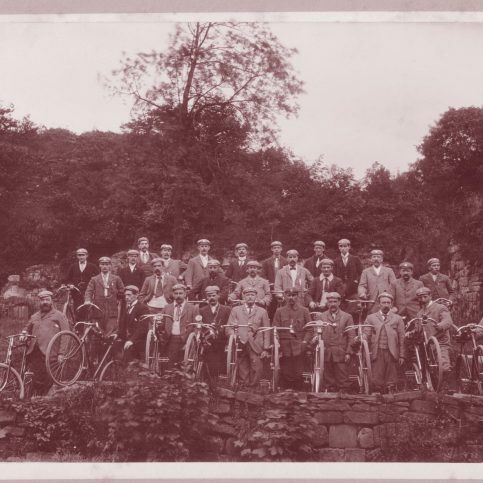 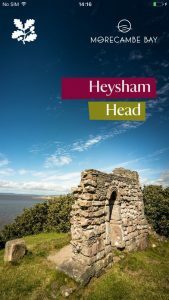 A phase 2 conservation report on Hampsfell Hospice including its history and recommendations for its conservation. 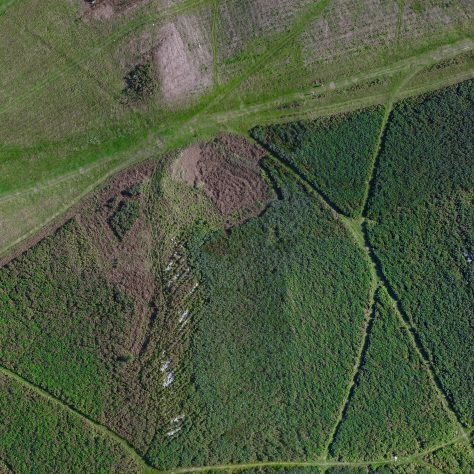 A detailed assessment of the vegetation clearance project carried out on Birkrig Fell, Birkrigg Common, near Urswick, Ulverston. 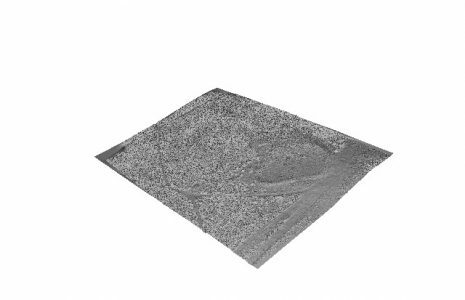 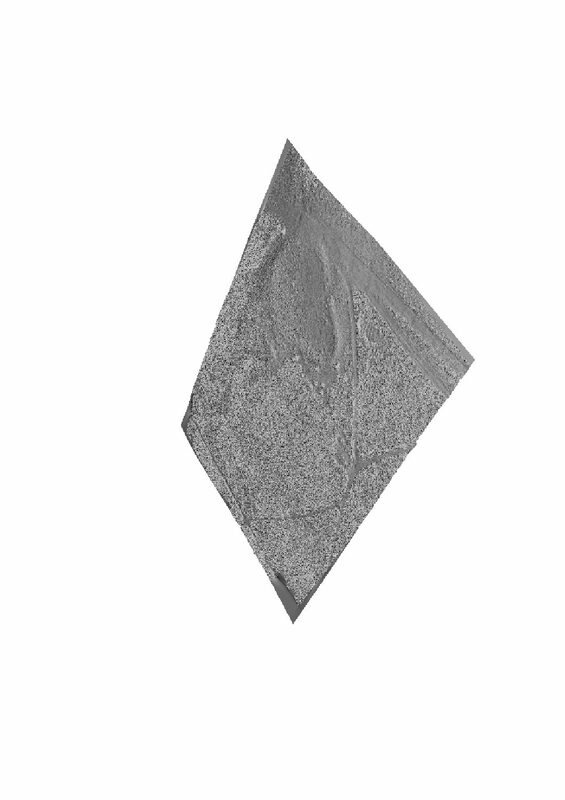 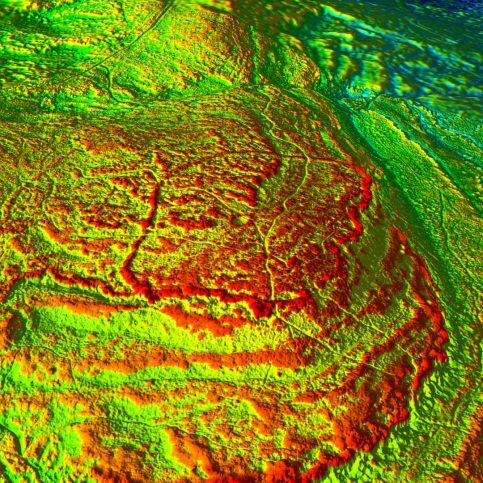 Consists of an introduction, site survey, methodology, background, mapping and conclusions.